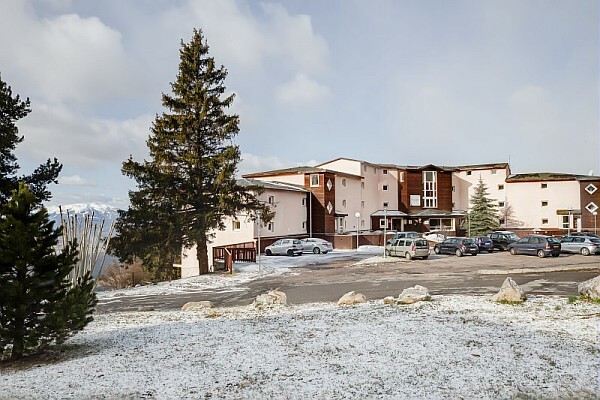 The warm and welcoming Le Carlit hotel takes its name from the nearby mountain range and is perfectly placed in the centre of Font Romeu, a short walk from the cable car. 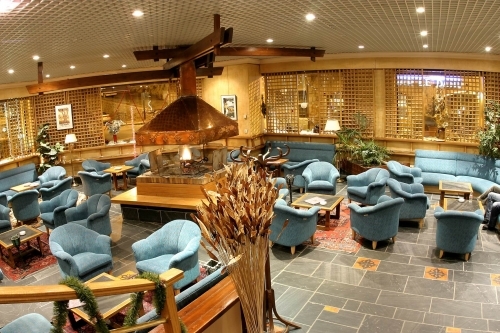 All the shops, restaurants and bars are very much on your doorstep but you will find that you do not need to venture far to find leisure and relaxation as the hotel has everything you need. 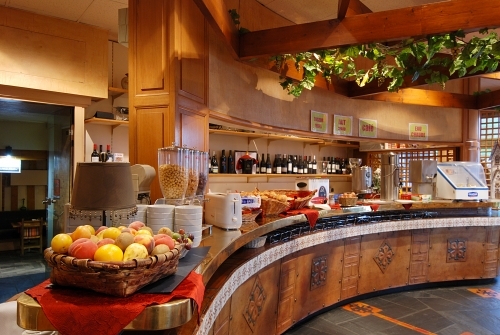 The hotel has a strong family focus and it does feel like a home form home. 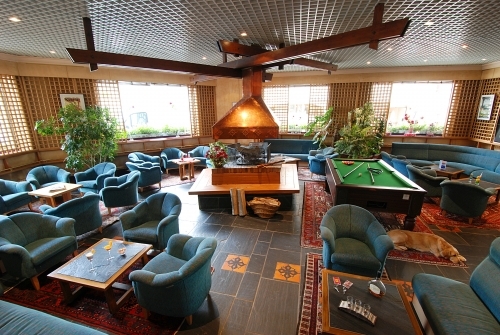 On entering the hotel, the large open-plan piano bar/lounge area with its cosy chimney is ideal for cold winter evenings; its pool table and comfy seats and tables are serviced by the nearby bar just above the lounge. 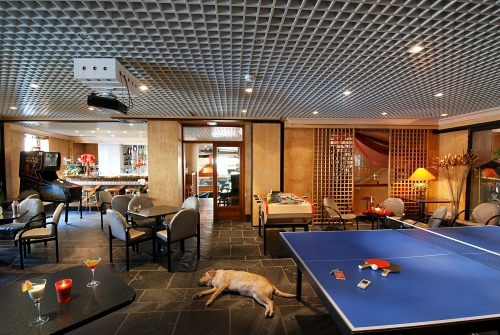 The games room with its table football, ping pong table and video games is ideal for the kids and is just around the corner from the piano bar/lounge. So, of an evening the whole family can all relax and chill out in the same area after a hearty meal. One of the great features of the hotel is its choice of three onsite restaurants each with a different theme but all cooked by the award winning chefs with fresh local ingredients. 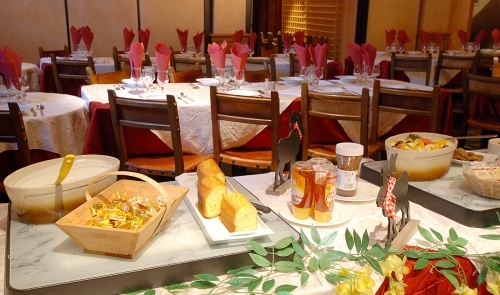 From a 4-course set menu at the elegant “Cerdagne” restaurant to a relaxed mountain style meal at the “Capcir” – the authentic traditional French kitchen will be sure to please. 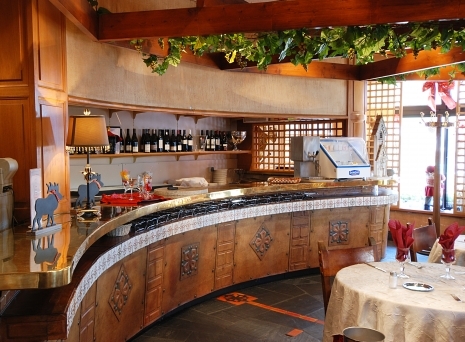 If however, you fancy sampling some of the local Catalan cuisine then the “Foc” restaurant with its fiery red and gold Catalan décor is a sure winner. 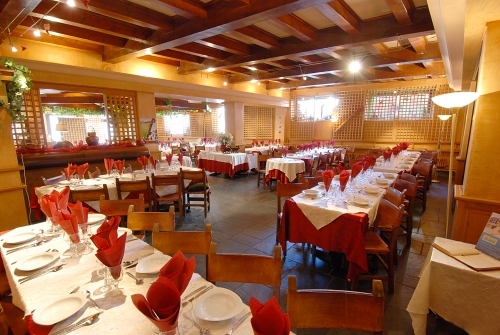 There is even meal time entertainment in the main “Cerdagne” restaurant during the school holidays. 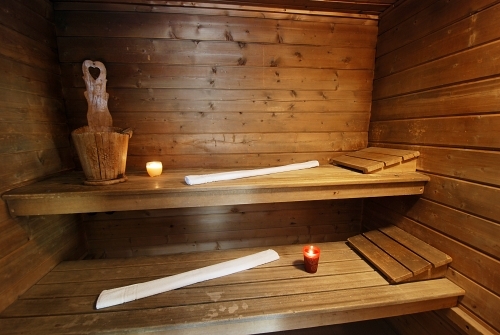 Downstairs, in the large wellness area you will find a sauna, Jacuzzi and steam room for relaxing those aching muscles after a challenging day on the slopes. There is also a small gym for the sporty types and for those looking for a spot of pampering a massage area for an array of relaxing and revitalising massage treatments. 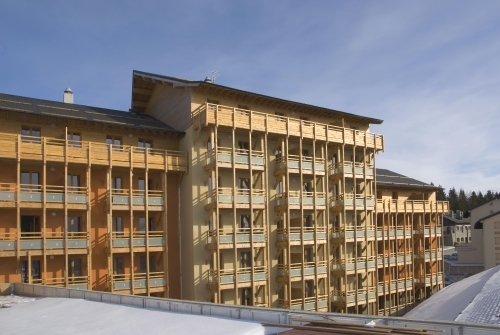 The rooms in the hotel are located over the five floors all served by the lift. The top floor of the hotel which houses the majority of the mezzanine suites for four people has been recently renovated whilst the four lower floors house the primarily original double and twin rooms some of which have also been recently renovated. 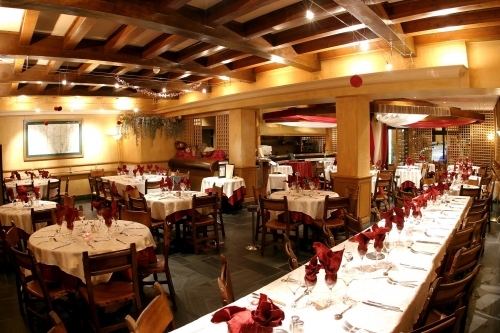 Here the classic rooms have retained many original feature such as the original woodwork and parquet floors. 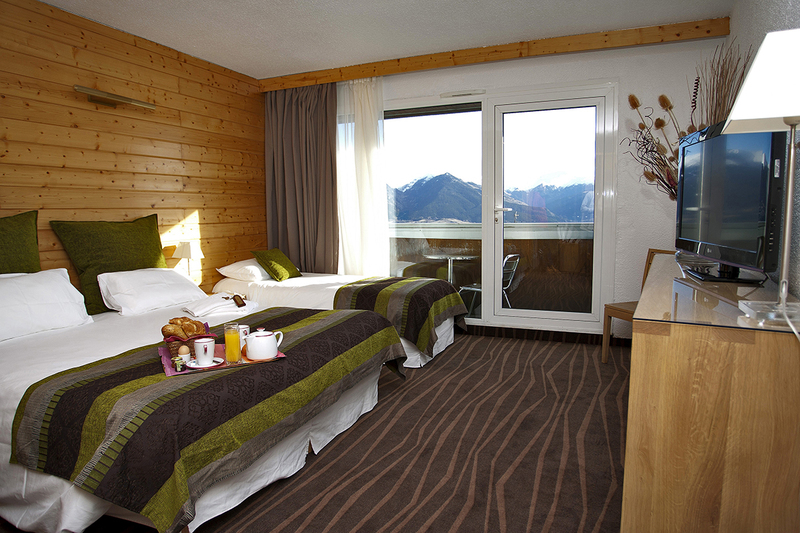 The overall style is mountain charm with red printed throws and curtains giving a warm mountain chalet feel to the rooms. 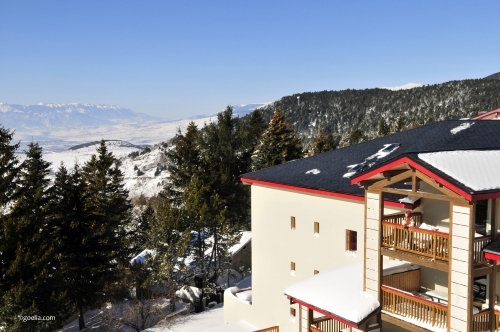 Whilst the pretty village of Font Romeu is primarily a small and lively family ski resort in the heart of the Catalan Pyrenees with an excellent snow record. With its gentle slopes and ski resort family focus is great for families or beginners looking for a traditional village with heaps of Catalan hospitality. This combined with its nearby natural warm springs and sights make it ideal for those looking for a complete Catalonian-Pyrenean experience. 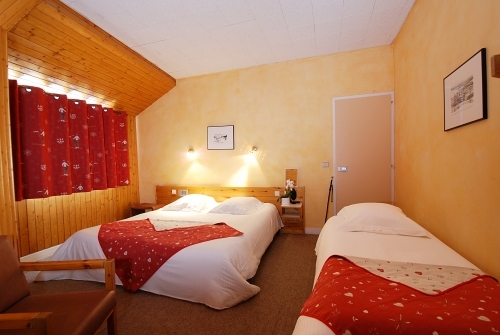 Each of the warm and welcoming rooms at Hotel Le Carlit has Wi-Fi internet access, flat-screen satellite TV and direct dial telephone. The bathrooms have showers or a bath tub with shower attachment. Standard Double or twin room with shower or bath sleeps 2 (ca. 18m2): Double or twin beds with ensuite shower or bathroom with WC. 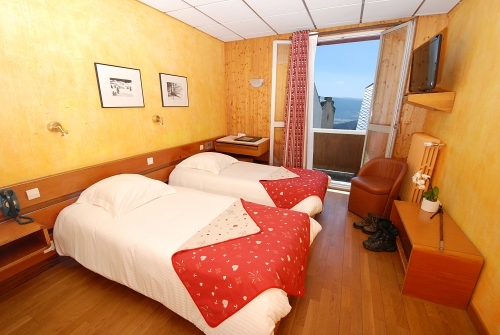 Standard Triple room with shower or bath sleeps 3 (ca. 25m2): Double bed and a single bed with ensuite shower or bathroom with WC. Superior Double room with shower sleeps 2 (ca. 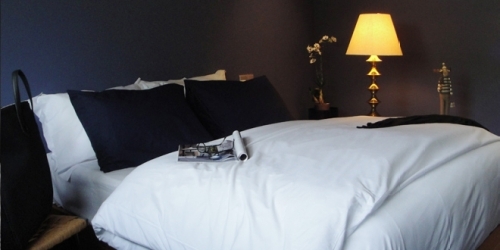 18m2): Recently renovated double or twin bedroom with ensuite shower or bathroom with WC. Superior Mezzanine suite with shower sleeps 2 - 4 (ca. 35m2): Open plan lounge area with two single sofa chairs (that convert to full size single beds) and TV, ensuite shower room with WC. Mezzanine area above the lounge area with a double bed, wardrobe space, telephone and TV. 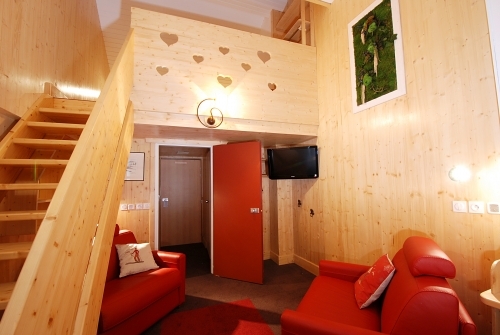 Chalet style room with bathroom products, continental buffet breakfast or Half Board (payable), Wi-Fi internet access, ski room, lift, free access to wellbeing area, gym and games room, access to lounge/piano bar area. Free dining entertainment in the main restaurant during French school holidays. Only one small dog per room is allowed and is free of charge. A valid passport for your pet is compulsory. Every day from 8.00am to 23.00pm. Arrival day at Hotel le Carlit is daily from 14:00 and Departure by 11:00.